Down in South Texas......Corpus Christi. 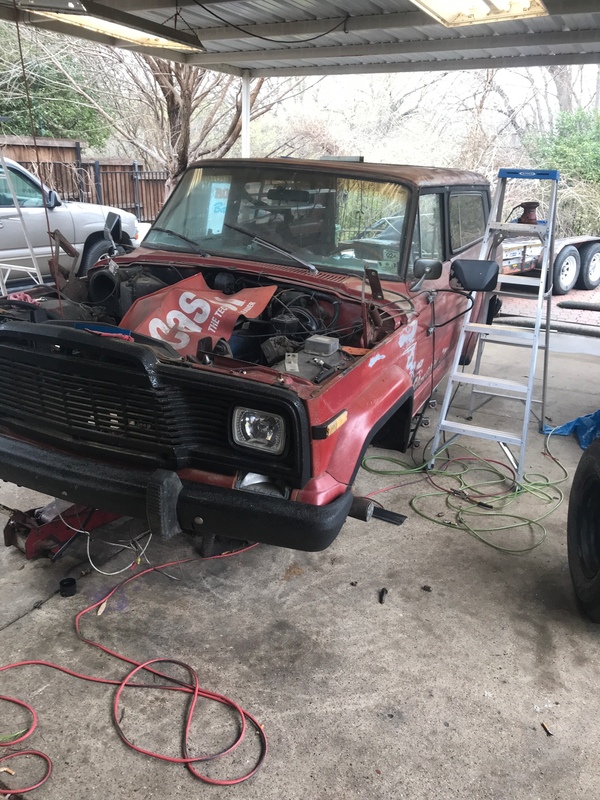 1982 Wagoneer - Project I just picked up 2 weeks ago. Im in the Weatherford area near FTW. Lassiter wrote: Down in South Texas......Corpus Christi. 87wagtx wrote: Im in the Weatherford area near FTW. Welcome! Have pics of your rides? 1980 Honcho 258 4 speed mostly stock with 4 " lift. Built to drive not sit in the garage. No longer strangled. I didn't build it for anyone else. If you can't improve it why waste your time? Houston here too but I get to New Braunfels often. My 76 wagon is still 2-3 months out from completion (I hope). I am going to have a heck of a time when it come to reassembly,... Clovis, let's meet up in Gruene as soon as I get my rig back on the road. And I would be happy to help you out when i am in the area. Will let you know. We should start a list of Texas salvage yards that have FSJ's for parts. I am still searching Houston. Houston/Galveston area...born and raised in NE San Antonio, Schertz/Cibolo area. Trying to get my LS swap finished. I miss my Jeep!! If any of you Houston guys are masters with electrical or fuel systems, let me know! How about a houston sandblaster recommendation? Come on down to Galveston, I'll buy the beer and the fishing boat when we're tired of messing with the jeep! rherndon wrote: Houston here too but I get to New Braunfels often. My 76 wagon is still 2-3 months out from completion (I hope). I am going to have a heck of a time when it come to reassembly,... Clovis, let's meet up in Gruene as soon as I get my rig back on the road. And I would be happy to help you out when i am in the area. Will let you know. There is a decent yard off hwy 77 between bastrop and austin that had fsj stuff about 5 years ago. 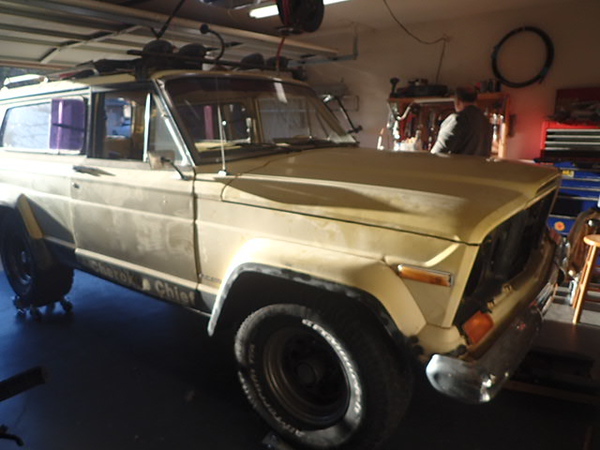 87' grand wagoneer with a rusty's 4"
I replaced all my instruments with modern old school looking guages. You're welcome to my old instrument panel. A note of caution, all my bezel mounting post broke due to dry root and deterioration. Only take off what you have to and only if absolutely necessary. I really appreciate the offer twikel, but I just have to trace the wire and hook it up or run a new one. the wires for the temp gauge and heat and ac got lost when I replace d the engine. The buddy who helped me forgot to tag those, and it took 9 months to get the project back together and then I moved to texas and another year has passed so its been a lot of head scratching. runs good now though now . I could drive without it but I replaced the waterpump radiator and all the hoses when I replaced the engine and haven't run it for more than 20 minutes since I got it running again. I have eyed the digital gauge set on BJs site a bunch of times too. I really would like a tack too. Twikel do you have any pics or a thread of the project for the gauges. Clocking in outside of Houston. Still putting mine back together. Just north of Austin in Leander. My 78 is getting torn down for bodywork and LS swap. Over in East Texas here! 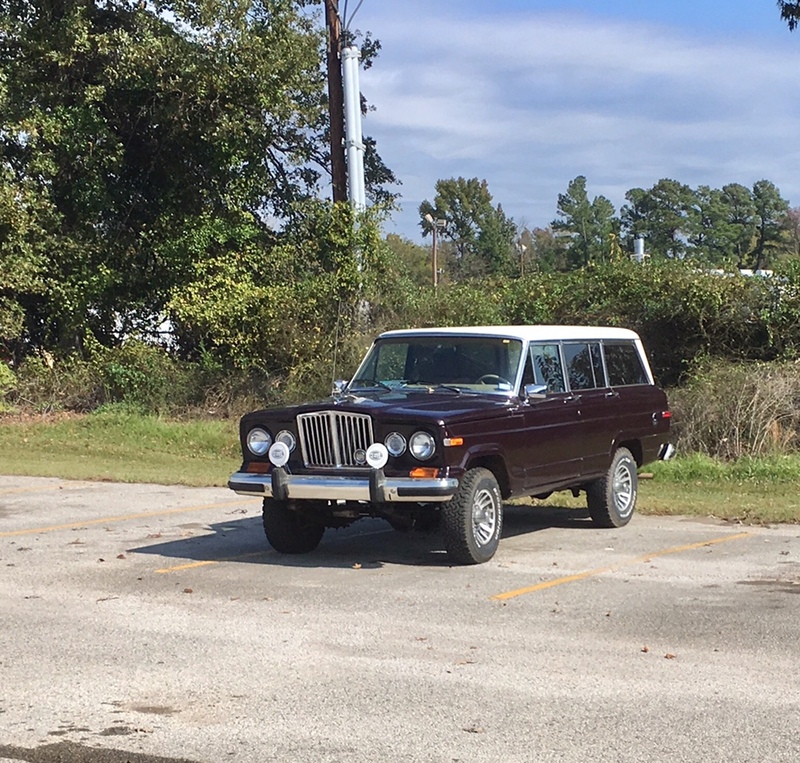 We should organize some sort of Texas FSJ gathering, it’d be great to see everybody’s rigs in person!